Japanese stocks gave back some of their gains in early trading, falling nearly 3%. The trigger was the news that economic output contracted in the third quarter, tipping the country into recession. The contraction was significantly more than analysts had expected. The NIKKEI-225 has rallied over 18% during the last month and was probably due for a technical correction. A number of factors have supported global stock markets in recent months. Particularly in Japan, these include expansion of the country’s quantitative easing program as well as sharply falling commodity prices. Japan being a net importer will benefit from lower oil prices. Futures on the Dow and FTSE-100 indicate the markets will give up around 0.5% on Monday’s open. At OPEC’s meeting, yesterday the 12 oil producing member nations agreed to keep production at current levels, rather than cut back to reduce supply. Global oil prices continue to trend down due to lower demand from the slowing growth in China as well as the reality that the U.S. is becoming increasingly effective at their own shale gas production. Oil has not found a floor yet, and Brent Crude, for January delivery is trading down at $78.18. The week ahead could prove significant for currency traders as an important batch of data releases and policy announcements are due to take place. At 2.00pm GMT today, the ECB president Mario Draghi will make an announcement on the direction of the European Central Bank’s monetary policy. Analysts are predicting he will take decisive measures to loosen monetary policy to assist the stagnating Euro zone, something that is not entirely welcomed by the more “frugal” European leaders. Draghi is expected to announce a boosting in the asset purchase program extending the bank’s balance sheet to purchase sovereign debt. This, they expect will, improve liquidity and reduce effective borrowing rates – a means to stimulate inflation and growth in the Euro zone. Tuesday will also be an important day for Sterling as traders await releases of CPI, and core CPI figures. We expect sterling to increase its technical rebound unless the figures come in well-below estimates of 1.3% and 1.6% respectively. Wednesday will be another day for traders to watch carefully as the Bank of England Monetary Policy Committee will meet and release its statement. Changes in interest rates are not expected however, we will be watching for any important indicators and sentiment in the minutes. 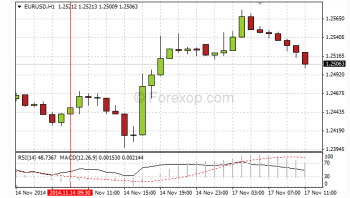 Both Sterling and the Euro are trading up against the US Dollar after they found a floor on Friday with GBP/USD reaching 1.5591 and EUR/USD reaching 1.2397. The FOMC also releases its minutes on Wednesday. CPI data out of the US on Thursday and Canadian CPI on Friday are also potential market movers.